Let’s face it: truck driving is a challenging job that some may consider long and boring. You’re on the road for up to 12-14 hours at a time and away from home for days and weeks. Having time for hobbies may seem a bit unpractical since your hands are on the wheel the entire time! The good news is that there are many hobbies you can pursue while in the cab or during a rest break. Hobbies can help pass the time on the road, relieve stress, and also keep the mind active and fresh. 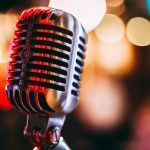 There are hundreds of podcast options for whatever your interest may be in—history, sports, news, interviews, true crime mysteries, etc. There are even podcasts about the trucking industry which will give you valuable information for developing your career. Most podcasts are available for free and have very few advertisements. Best of all, this a hands-free hobby to pursue behind the wheel. 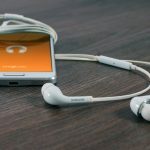 Podbay.fm is a good start, but search other apps and podcast libraries for the topics that interest you. Pick a few episodes and build a playlist that can run while you’re driving. If you’re a fan of taking pictures, then you probably already take a few snaps of the beautifully scenic views you can find while at work. If you’re not into photography yet, what better excuse to get started than driving across the country for work? You can tap into your creative side and build a new interest. Try it out with your smartphone first and then invest in a camera if you really get into it. In addition, this hobby can be expanded if you don’t mind making your photos public. 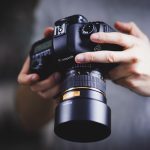 Start a photography blog and share your stories and thoughts along with your photos. Write about your travels, the unique sights you see, and the interesting people you meet. Also, sharing your blog and photos helps you stay in touch with friends and family at home, and let’s them know what you’re up to. Working out while on the road helps your health goals, but also relieves stress and helps you feel confident and relaxed. However, it can be tough to find time to hit the gym while working, so start out with short exercises during rest breaks. Bring some weights you can use in the cab, or try lunges, sit-ups, and push-ups. In addition, a few years ago, exercise scientists published findings recommending “the scientific 7-minute workout” which is based on high-intensity interval training and can replace longer workouts. If nothing else, you can go for a quick jog or run around rest centers while on break. Also, researchers have found that even 30 minutes of walking every day has some of the same health benefits as longer and more intense workouts. Audio books are becoming very popular during the average person’s work commute. This hands-free alternative to reading is perfect for truck drivers who can’t (and shouldn’t!) be turning pages and reading while driving. Getting back into your reading list can keep you up to date on the latest bestsellers, or catch you up on classics that you never got around to. 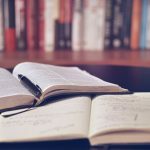 Some suggestions of where to get started are audiobooks.com and audible.com. While they aren’t free, most of these services will offer a one-month free trial before charging you. In addition, if you prefer the feeling of a book in your hands and the satisfaction of turning the page, regular old-fashioned books serve as a great option while not driving. Being away from home doesn’t mean you can’t dabble in the arts and express your creative side. 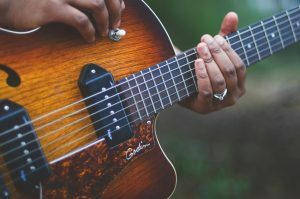 If you’ve ever played an instrument but have been out of practice, now is the time to pick it up again. 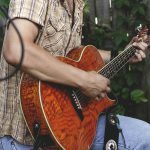 In addition, you could start learning the instrument you’ve always been interested in but never found time for. There are hundreds of tutorial videos and resources online you can watch while not driving. If you have a music instructor locally, you can check-in for a lesson whenever you get back home periodically. However, if music has never been your jam, try creative writing or painting. Many drivers try their hand at writing short stories or poetry. It’s also easy to keep simple materials in the cab like a folding easel, canvas, and painting utensils. It’s a misconception that some people aren’t artistic—they just haven’t found the right one for them. Truck driving takes you all over the country. Keep souvenirs and build memories by starting a small collection. Typically people collect stamps or coins, but it could be anything that catches your fancy. If each item is something unique from the town or state you got it from, that’s all you need. In addition, similar to the blog idea, add these items to a scrapbook or trunk box and pair each collectible with a cool story or memory of where and how you find it. You’ll be surprised what kinds of trinkets you can find for cheap across the country. You’ve always wanted to learn German, right? Or was it Swahili? Most people who aren’t bilingual wish they were, and bilinguals are usually trying to add a third or fourth language to their skills. The biggest obstacle holding people back from learning a new language isn’t money or resources, but time. In addition, with audio-driven language learning programs, you learn a little bit everyday while still behind the wheel. Researchers constantly find new cognitive benefits of bilingualism, like improved memory and critical thinking. Look into a few audio programs online, select a program or playlist, and hit play! Although many people believe that truck drivers don’t really have time for hobbies, that can’t be further from the truth. Hands-free audio apps and tons of time make some hobbies ideal for truck drivers. Others can be pursued while on breaks or rest time. Engaging in truck driver hobbies will help pass the time quicker, keep you from being bored, and help contribute to a more fulfilling life. Finding great gift ideas for truck drivers might seem tough. If they didn’t provide you with a wish list, how do you know what they need? Or what they already have packed into the cab of their truck? Don’t worry, we’ve come up with some great suggestions for anyone who spends a lot of time on the road. These gift ideas for truck drivers should help you when it comes to their next birthday, anniversary or any special occasion. Whether your driver is a serious rock-n-roller or a country music fanatic, a gift card for a subscription music service could be a perfect gift. No more memorizing the best stations in every city from Dallas to Des Moines. Streaming stations keep the music going without interruption! Snag some SiriusXM or Spotify gift cards to get them started. In addition, you could renew their subscription for another year. Or, buy them some iTunes or Google Play gift cards for other online music apps that they enjoy. Any driver who spends long hours on the road with only their radio to keep them company would welcome these. Remind your trucker that they’re loved and missed. Portable picture frames are a great gift idea. Find frames that can easily suction onto the dashboard, or attach to the sun visor. 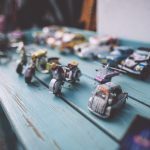 Pictures of the kids, their house, the family dog, or their beloved motorcycle are perfect to frame and take with them. Other ideas might be to engrave something with a personal message for them. A keychain, necklace or charm bracelet with sentimental thoughts from home will let her know that you miss her while she’s gone. Fill a gift box with tasty treats and your trucker will thank you! 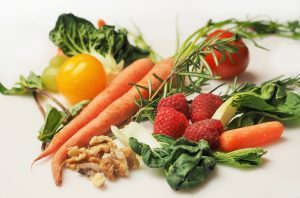 You can choose healthy or sweet, or a little bit of both. The key is to make sure that everything you’re packing is non-perishable and convenient to grab-and-go over the course of the day. Think about adding sports drinks and bottles of water too for those times when they’re finally done with their last cup of coffee. Your truck driver will appreciate the time you took to pack up a box of their favorites to keep them fueled up for the day! If you’ve got additional great gift ideas for truck drivers that we didn’t mention, please share your ideas on our Facebook page. We might feature you or your ideas in an upcoming story. 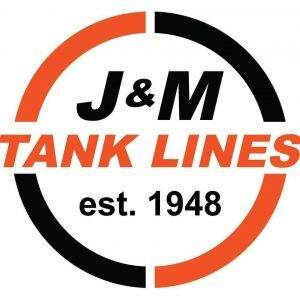 Job of the Day: J & M Tank Lines, Inc.
Today’s Job of the Day comes to us from J & M Tank Lines, Inc.
J & M Tank Lines is a family owned trucking company that has been in business since 1948. They have terminals located in Alabama, Georgia, and Texas. The company operates 550 pneumatic tanks, 50 food grade tanks and 25 flat beds to make transportation efficient. They are currently seeking CDL A Local Company Drivers in Birmingham, AL. The company is searching for drivers who want to expand their professional driving careers and haul dry-bulk in pneumatic trailers. Also, no endorsements are required and no previous pneumatic trailer experience is required. Overall, J & M Tank Lines offers great guaranteed weekly pay and bonus opportunities for referrals, weekends, and overnight. Also, they offer medical, vision, and dental insurance, paid vacations and holidays, 401k, and more. In addition, J & M Tank Lines asks that applicants be at least 25 years old, already have their CDL A license. They also ask that applicants have had at least 18 months of verifiable tractor-trailer experience. KA Logistics is a trucking company providing Long Haul and Regional, Temperature Controlled and Dry freight services. In addition, KA takes great pride in providing customers with efficient and effective service throughout the entire organization. Currently, KA Logistics is hiring OTR Dry Van Owner Operators and Company Drivers in Bollingbrook, Illinois. Also, they offer a lease to purchase program. KA Logistics hires from anywhere, but drivers must come to Bollingbrook for screening/orientation. In addition, applicants must be at least 23 years old with one year of experience and a CDL A license. 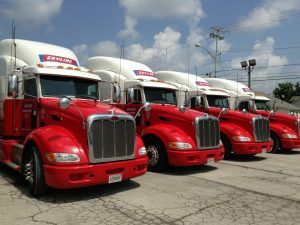 Job of the Day: SOCI Petroleum Inc.
Today’s Job of the Day comes from SOCI Petroleum Inc.
SOCI Petroleum is a growing fuel transport company that has been family owned and operated since 1952. They transport commercial fuel products regionally throughout the midwest. They have openings right now for Local CDL A drivers out of the Columbus, Ohio area. This is a tanker position with company-provided equipment, and runs within a 100 miles of pickup origin. It requires both Hazmat and Tanker endorsements, and they prefer that applicants have at least two years of tractor trailer experience. The position offers great pay and benefits, and you’ll be home daily! 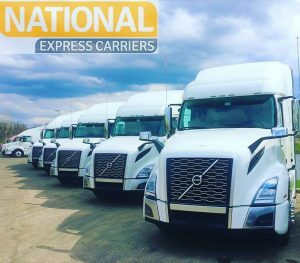 Since 2013, National Express Carriers has been servicing the transportation industry in all 48 states. With their focus in dry, refrigerated, and LTL truck loads, they integrated their services in multiple sectors of the industry. Their main focus is to provide outstanding customer service for clients in the field. 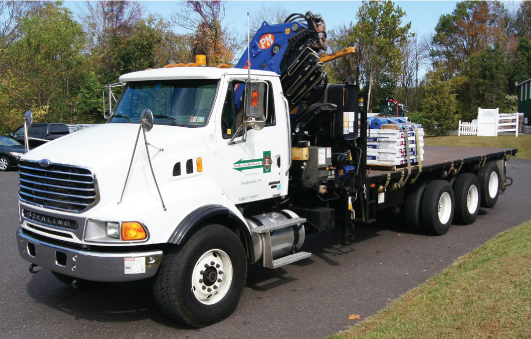 By utilizing the newest and up to date equipment they provide outstanding results in quality of work along with on-time service guaranteed. Currently National Express Carriers seeks OTR Dry Van CDL A Drivers nationwide. They offer competitive pay, a great benefit package, and top equipment. The trucks include refrigerators, inverters, and APU units, and drivers take trucks home during home time. In addition, they launch a new facility in July with lounge, beds, showers, a full kitchen, and laundry. Also, they ask that applicants are at least 25 years old with a CDL A license and a minimum of 1 year of experience. Although it’s March already and Spring may be around the corner, the weather can quickly take a nasty turn when least expected. Snow, ice, and sleet are still a possibility this season. 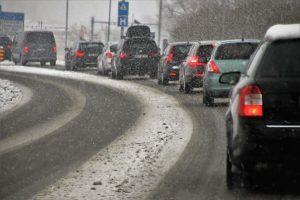 Winter weather can significantly raise the risk of driver accidents on the road. Taking the precautions to prepare for winter weather will help you stay safe on the road and make reach destinations on time. Keep these ten winter driving tips in mind before hitting the road during difficult weather conditions. This may be a no-brainer, but worth repeating. While driving in snow or ice, take the effort to drive slower than you usually do. The speed limits posted are for ideal conditions and should be kept lower for winter weather. Basically, you want to compensate for the poor traction on snow-filled roads. Hydroplaning occurs when water builds between the wheels and the road surface, leading to loss of traction. Hydroplaning prevents the vehicle from responding to controls as quickly. Slowing down gives you more time to react if anything suddenly changes. Ideally, stopping distance should be twice as much on a wet road as on a dry one. Leave plenty of room between your truck and the vehicle in front of you so that you have enough space to move out of the way in case of unpredictable situations. Avoid driving in packs. 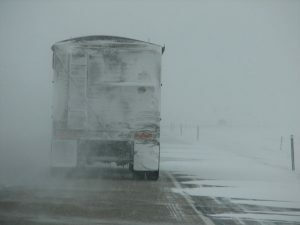 Usually, you may want to herd with other trucks on the road, but in winter weather this can be a disadvantage. Find a way to get away from the rest of traffic so that you’re driving alone. Speaking of sudden changes, try to avoid them! If you need to change speed or direction, try to do so gently. You mainly want to remain smooth and avoid anything that reduces traction. Instead of sudden braking, try pumping your brakes if you need to slow down quickly. Similarly, avoid sudden acceleration or cornering. If your truck comes equipped with anti-lock braking system, now is the time to use it. This will avoid the change of locking the tires and spinning out of control. Tire spray is a good measure of how wet the road is. Observe the water coming off the tires of vehicles around you. The more wet the road is, the more careful you have to be about slowing, maintaining distance, and keeping traction. If there is less tire spray, the roads may have started to ice over. Watch for black ice- that’s a layer of transparent ice that makes the road look wet. Keeping up to date with the weather conditions will go a long way towards being prepared for what’s coming your way. Use GPS apps or information provided by dispatch to know which roads may be closed. Telematics can help you know where other drivers are, the routes they are taking, and opportunities to find safer routes. Maps will also help you locate rest stops for nearby shelter if needed. Another obvious one, but you may be surprised how often we all forget to implement this. Headlights are always a must during snow or rain, but also during low visibility conditions like fog or mist. Having the lights on will allow others to know where you are. Be sure to clear off snow and ice from the headlights whenever you have stopped. If driving conditions are extremely severe, pull over to be on the safe side. 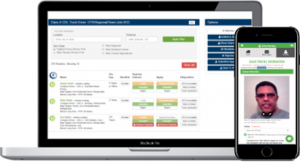 Don’t worry about the schedule and coordinate the situation with dispatch. Get off the road and find a safe place to wait for conditions to improve. While rest stops are ideal, don’t be opposed to stopping elsewhere if the nearest rest stop is too far away. Having with the right equipment before any route during the winter will help you stay prepared for emergencies. 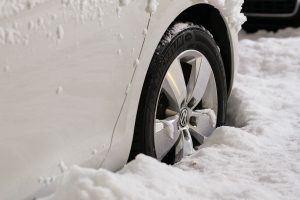 Here’s the minimum of what should go in your winter driving kit: extra layers of clothing, gloves, flashlight, blanket, batteries, non-perishable food and water, bags of sand, salt and windshield washer fluid, windshield scraper and brush, jumper cables, first-aid kit, tire chains and traction mats. Bridges and highway overpasses usually freeze first since they are more elevated. To make matters worse, bridges may not be treated with ice/snow melt materials as quickly as main roads and highways. Take particular caution to drive on these and avoid them if possible. Look for alternate routes, even if they add some additional time. Job of the Day: Skyline Transportation, Inc.
Today’s Job of the Day comes to us from Skyline, Inc.
Skyline Transportation, Inc. is a family owned operation, headquartered in Knoxville, TN. They service the eastern United States and provide great career opportunities and stability for drivers and their families. Currently, Skyline Transportation, Inc. seeks CDL A Long Haul Regional Over the Road Company Drivers. The drivers must be within driving distance of Knoxville, Nashville, Jackson or Memphis, TN terminals. Drivers are home every weekend, with an average of 2500 miles driven per week. Also, Skyline offers health benefits, holiday, and vacation pay. In addition, Skyline offers a sign-on bonus and quarterly safety bonuses. Skyline Transportation asks that applicants are at least 21 years old with a clean driving record. Also, they prefer the Hazmat endorsement. However, they help drivers obtain the endorsement at the company’s expense. 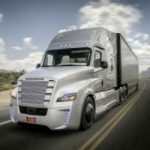 Sign-On Bonus or Salary: What’s More Important for Truck Drivers? Recruiting and hanging onto good truck drivers is a major concern for most trucking companies. The driver shortage is something that’s been talked about for years, and it’s not going away any time soon. With driver salaries and bonuses continuing to climb, many companies are taking a hard look at what that means for their truck driver recruitment efforts. And what they need to do to attract and retain good drivers. We asked our Facebook driver network to vote on what’s more important to them when looking for a new truck driving job: a good salary or a large sign-on bonus? Our results were overwhelmingly in favor of a good salary with 95% of the votes! As it turns out, that’s the direction some hiring managers are now taking. Some companies are moving forward with plans to cease sign-on bonus add-ons in favor of putting together a solid long-term salary package. By not offering sign-on bonuses, they’re seeking to avoid attracting job-hoppers, and keep everything clear and up-front on take-home pay expectations. They’re planning that in the long-haul it will be good for both the company and the truck drivers if drivers’ checks are predictable and the calculations are clear. You may have had offers that were a great starting salary, but no bonus. Or an low-to-average starting salary with a 5-figure signing bonus. Or that rare unicorn with a high salary and a great bonus to start. In any case, you need to be certain you understand what you’re agreeing to. Make sure you read all of the fine print, both with your salary offer and / or your sign-on bonus. The fine print might make all the difference to your paycheck and ultimately your future career with that trucking company. We know that money isn’t the only deciding factor when selecting your new company. But when it come to salary vs. sign-on bonus, what do you think? Let us know your opinion on our Facebook Page. Share your story and you could be featured in an upcoming post!